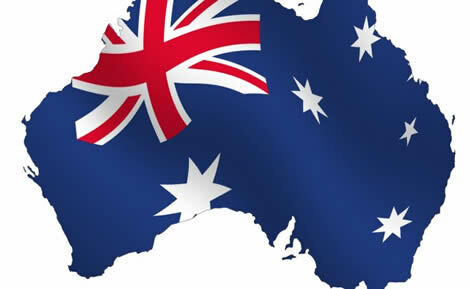 Our next focus in our newly-launched series of dedicated binary options trading country reports is Australia. As is the case in all our tailor made country reports the primary aim is to provide a reliable and updated guide for all those prospective traders interested in investing in the online retail binary options market and who have their temporary or permanent residence in Australia, since it a source of localized, country specification information on the matters pertaining to binary options trading in the country as well as a compass for locating and preferring trusted binary option brokers in Australia. Australian traders are the demanding type and they will not settle for anything less than the best when it comes to the level of service they expect to receive from their broker. This is why we have devised this country specific report, to assist all Australian based binary options prospective traders take the right decisions before they commence trading online. Being a top financial market not only in the Asia Pacific region but on a global scale as well, Australia was fertile ground for the development of a vibrant binary options industry as well, with binary options gaining increasing popularity with Australian traders as time goes by. Every trader wishing to trade in the Australian financial market should be made aware that the overarching coordinator is the AFXC – the Australian Foreign Exchange Committee. Tasked with multiple objectives and duties the Committee is responsible to ensure that the whole spectrum of the financial markets in Australia are functioning smoothly, in an environment that provides low market fluctuations and where effective risk management methods are in place, creating good trading conditions for all stakeholders, brokers and traders alike. Moreover, the Australian financial markets framework and set up places particular emphasis on the existence of a forum where all participants can take part, exchange views, discuss and propose solutions to problems. The governmental agency in Australia that regulates all the financial markets players, including binary options brokers, is the Australian Securities and Investments Commission (ASIC). It is responsible for the registration and licensing of companies wishing to provide such services in the country, and it is also tasked with monitoring their operations. The overarching aim of the ASIC is to work towards improving the overall effectiveness and efficiency of the financial markets in Australia and provide and inspire a safe and orderly environment for brokers and traders alike. First, it gives investors confidence in the financial markets. Because the majority of the key actors in the financial market are being closely watched and monitored by the ASIC, this enhances the confidence of investors that convinces them to participate in the market, since they don’t have to worry about falling prey to fraud. Besides infusing stability in the markets through regulations that are designed to prevent financial firms from causing significant upsets and debacles in the operation of the markets, the ASIC also helps to ensure there is a degree of accountability among financial firms, including binary options brokers. The watchdog agency ensures that offending brokers are found and held accountable for their misconduct, forcing them to correct any wrong doing. What Underlying Assets should you Trade? In order to increase the chance of profiting through binary options trading Australian traders tend to prefer the devil they know rather the devil they don’t. Consequently, they focus on trading assets they are most familiar with. In terms of currency pairs such assets are the AUD/USD, AUD/CAD and AUD/JPY. In terms of commodities, the assets feeling closest to home are gold, silver, iron and coffee, while for stocks and indices, the preferred companies are those listed on the Australian stock exchange and the Australian Asset Index known as the ASX200. As a general rule profiting from price movements in binary options trading becomes easier when one chooses familiar assets rather than those you have little or no knowledge of. Moreover, this is also a method that reduces uncertainties and tends to minimize the risks associated with binary options trading. The reason behind the existence of the large number of binary options brokers operating in Australia, is the sheer size of the country’s binary investing market. Most binary options brokers offering services to Australian traders are actually licensed in foreign jurisdictions, mostly European, especially after the EU recognized binary options as a lawful investment vehicle giving rise to a booming binary options industry expanding out of Europe to other locations. This does not mean that such brokers are unsafe, as generally speaking all regulated brokers should adhere to specific rules that render trading through them a less risky venture. For as long a broker holds a valid license from any reputable jurisdiction it is a trusted broker. Below you can a list we have compiled for you, which includes Australian binary options brokers that offer services to the residents of Australia. The list includes examples of both brokers that are regulated abroad as well as home grown brokers under the control of the ASIC. WE have tried to ensure that all listed brokers offer high quality services, featuring multiple contract types, allowing traders to create complex strategies. Moreover, their large asset portfolios enable the further expansion of such strategies, thus increasing the chance of making them more profitable. Naturally, all the brokers listed below allow deposits and withdrawals in Australian dollars, giving an extra advantage to Australian traders by removing the extra cost and hassle of concerning the AUD into USD or EUR. Obviously our list is not exhaustive but we are confident that it merits careful consideration by all those residing in Australia and its nearby regions are interested in investing in online retail binary options trading, since they are all trusted legitimate brokers offering a quality service. Of course you are free to also conduct your own research, but still we feel that these are the top brokers when it comes to trading binary options in Australia. General Risk Warning: Trading Binary Options involves significant risk and can result in the loss of all of your investment. As such, Binary options may not be appropriate for all investors. One of the few binary options brokers in Australia that could be described as home-grown is IG Markets, although in actual fact it is a member of the IG Group which offers binary options brokerage services in the US (as Nadex), in the UK, and in other parts of the world. IG Markets is however regulated by the Australian Securities and Investment Commission and offers a wide range of services to Australian traders wishing to trade binary options. Enfinium is a 100% Australian company, that is regulated by the Australian Securities and Investment Commission (ASIC) with AFSL number 322081. It originally started out as a forex broker, but then launched a new product in the form of its white-label Enfinium-Vantage FX binary options trading platform, as an evolution of the MT4 platform. Therefore, Australian traders who want to stick to the home-grown brands can trade binary options through Enfinium and invest on one of the more than 50 assets than can be traded on its binary options platform. From its Sydney headquarters, Market Punter offers Australian traders who are interested in binary options the chance to trade the classic Above/below binary options as well as the super fast 60 Seconds type. An additional advantage of this brokerage is the fact that it also offers a tailor made Islamic trading account, enabling Muslim traders to trade binary options in a manner that is consistent with their religious beliefs and rules of their faith. OptionsXO is a relative newcomer since it started its operations in 2012. The broker’s headquarters are in Cyprus, where it is regulated, but it serves Australian traders through its Sydney office. Remarkably it has managed to attract high numbers of Australian binary options traders in record time. TradeSmarter is a case with peculiarities since it actually functions both as a binary options broker as well as a trading platform provider, developing platforms for other brokerages, one example being the trading platform offered by Market Punter Pty Ltd which is a TradeSmarter product. The broker actually has two main offices one located in Cyprus and the other one in the UK. As the UK is generally seen as a jurisdiction applying stricter rules and better control, it is perhaps wiser for Australian binary options traders to choose to deal exclusively with the UK office of this broker. TradeRush is an example of a binary options broker that has no physical presence on Australian ground but it is still a good choice for Australian traders to explore. The reason we would recommend this broker is that it has been shown to be a reliable broker that constantly invests in improving their product offering for the benefit all of their clients. An example of this is the fact that TradeRush is currently one of the few brokers whose platform is being used for the purposes of binary options signals generation and delivery by a third-party provider. Thus, we would urge Australians interested in investing in binary options to have a close look at TradeRush before opening their trading account.